"Cloudy" and "milky" water is not a reason to run to the local grocery store and stock up on bottled water. The San Francisco Public Utilities Commission says some parts of the City, the East Bay and the South Bay may have unusual-looking tap water starting Monday until February. But the water provider says the colored liquid is completely safe to drink. Really? 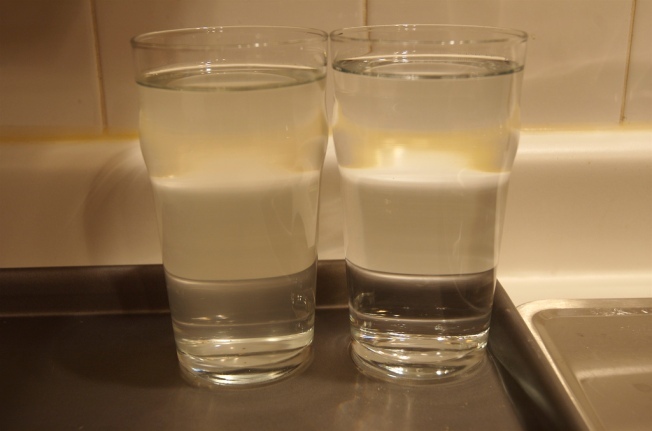 The milky color is caused by “tiny air bubbles in the water” created by an increased flow of water deliveries from local reservoirs. The commission swears despite the new look, the situation is temporary and the water will meet and exceed every quality test required to continue flowing through your pipes.